Electronic Prescription provides a Fast, Safe and Secure means for prescribing medications to patients. 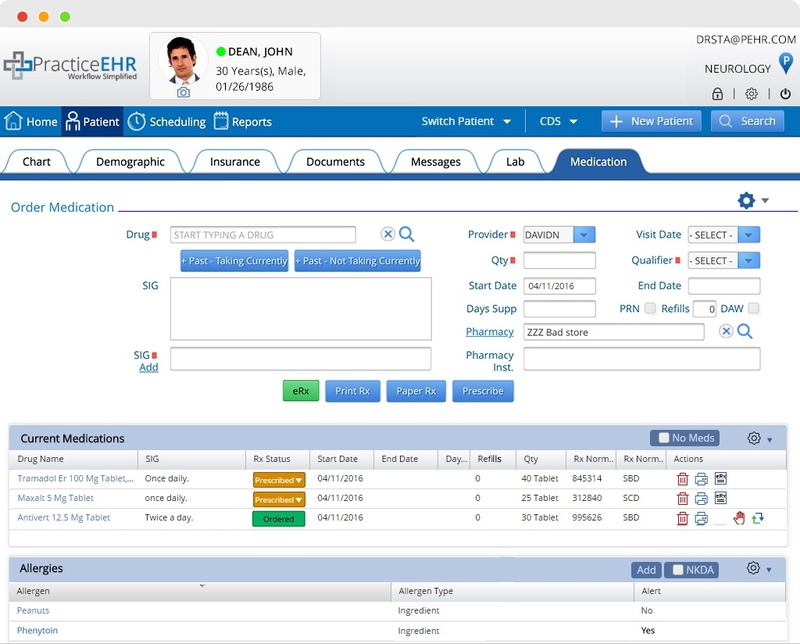 Practice EHR is Surescripts certified which provides instant access to over 68,000 pharmacies nationwide including but not limited to Retail, Long Term care, Mail Order and Specialty pharmacies. *E-prescribing for controlled substances (EPCS) is an additional fee.